Below is a quote from musician Thom Yorke in an interview he did with NPR’s Bob Boilen in February 2008. It comes in at 9:40min into the interview. Yorke: His [producer Nigel Godrich] thing is always … is always … speed. Boilen: What do you mean? Yorke: If you drag to a halt … if you’re sitting there, as happens occasionally – or more than occasionally – you spend hours cutting and chopping and blah blah blah … it’s very dull you know. Whereas … it is … and if things grind to a halt and the energy of the piece that you’re working on is dead … you know … and he’s really good at basically stopping that from happening … and keeping things moving because, essentially, like any creative process, you can get sucked into it and you’re ceasing to be – as you said – open to what’s happening. Cease to be prepared to be surprised or whatever, you know? I recognise a tendency in my own work to get bogged down in the minutiae of making, and I like the idea that working quickly might help in remaining open to surprise. 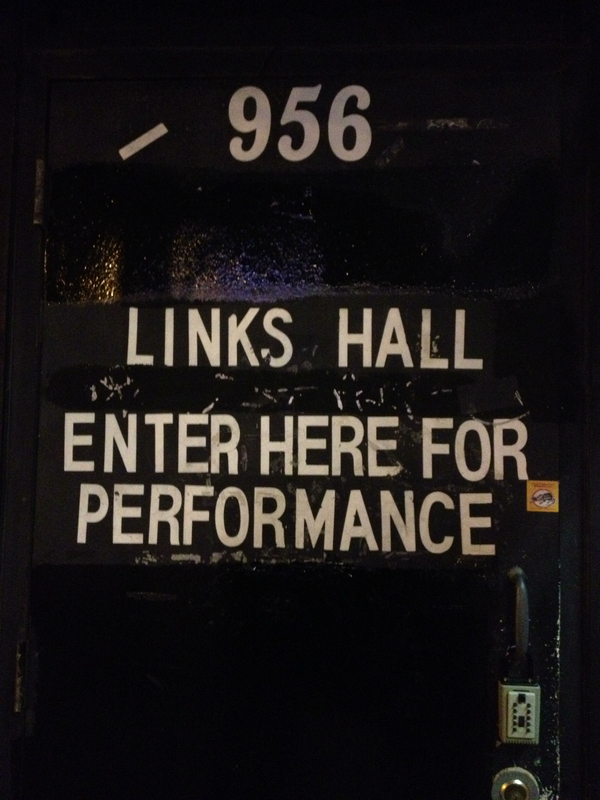 In March this year, I was in Chicago and happened to be part of a group that performed in the very last performance of the original (since 1978) premises of Links Hall. It was a small space, rather dirty and (inevitably) hard to find. It also felt a little bit like coming home. Wherever I’ve been in the world, spaces like this exist. They feel as if they are the heart and soul of dance whilst at the same time existing on the very fringes of the dance world. It is spaces (and organisations) like Links Hall, Dancehouse in Melbourne, Chisenhale Dance Space in London, the old church in Bassano del Grappa (premises run by Centro per la Scena Contemporanea), the Nightinghale in Brighton, Kunst Stoff Arts in San Francisco, and The Garage (also in San Francisco). 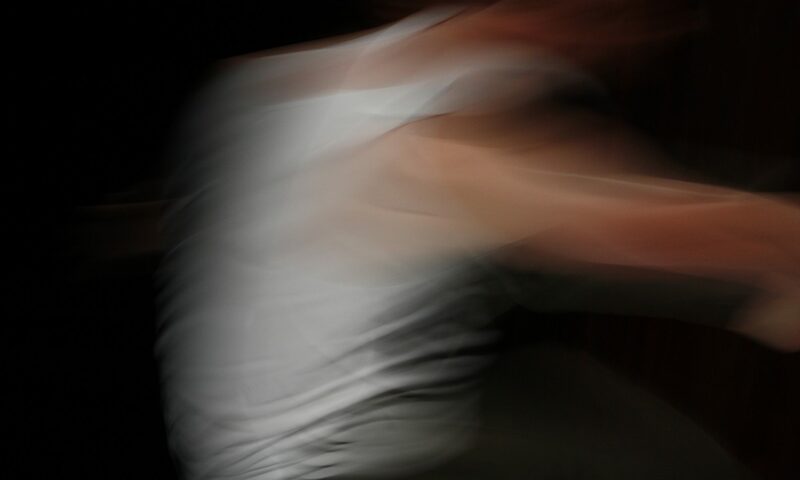 I often wonder how such organisations survive – audiences are small and tickets are cheap – but the spaces invite an experience of performance that is intimate, unguarded, and informal to the point that the traditions of performance might fall away in the blink of an eye. There is an episode of Radiolab from 2 April 2013 called Radiolab Presents: TJ & Dave. In it Radiolab’s Jad and Rob discuss the comedy improvisation duo TJ and Dave who work with entirely unscripted performances. The angle of Jad and Rob’s interview is about the anxiety associated with not knowing what is going to happen. TJ and Dave describe their strategy to deal with this fear by suggesting that all of the millions of possible stories are already there in the room with them. It is simply their job to piggyback on one (or more) of these stories for the duration of their performance. This is akin to the cliché idea of the artist as medium in which he (typically these stories involve men) simply reveals what is already there. The problem with this is that it reduces the decision-making skills of the performers. Why this story and not that one? What happens when things go wrong? Indeed what does wrong feel or look like? The artist as medium turns a beautiful yet complex skill and practice into a mysteriously opaque process when in reality is is just like any other human endeavour or skill that requires patience, mindful repetition, will, time and perhaps even courage to learn. Mind you, this episode of Radiolab is definitely worth a listen (as they nearly always are). While I was listening to the show I also became curious about the role of the audience in building the humour. That is, how do TJ and Dave use (or generate?) audience expectations to support their performance? What if, for example, they just called themselves an improvisation duo instead of a comedy improvisation duo? In other words, the role of the audience could possibly be to keep an ear or eye out for humour; to be actively involved in making something funny. They have, after all, paid to be given the privilege to laugh. 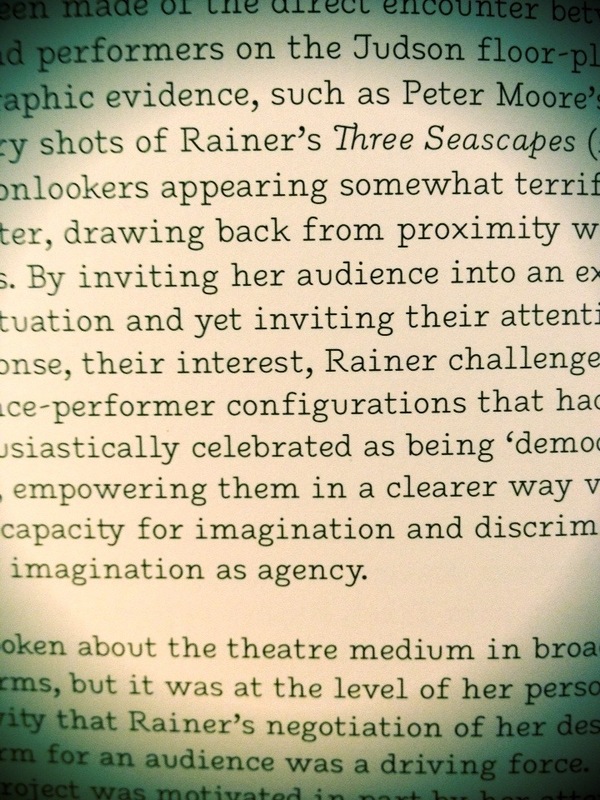 From Catherine’s Wood’s Mind is a Muscle which explores Yvonne Rainer’s 1968 programme Mind is a Muscle.